Eating all the healthy, wholesome foods in the world is of little use if your body cannot absorb the nutrients and put them to use building healthy body tissue. According to the Ayurveda theory of disease, poor digestion is actually the root cause of most disorders. When the food we eat is not digested properly, ama, the by-product of poor digestion and metabolism, builds up in the body. It literally clogs the micro channels of the body. This blocks the efficient flow of nutrients to the different parts of the body, which weakens the immune system. Further, it also hampers the unrestricted flow of wastes out of the body. And with that a “fertile breeding ground” is created for disease and infection to take hold. If you have a coated tongue when you wake up in the morning, an unpleasant body odor, bad breath, discomfort in the joints or post-lunch fatigue, you probably have some accumulated ama in your body. Most spices enhance digestion. That is one of the reasons spices are revered in Ayurveda cuisine. 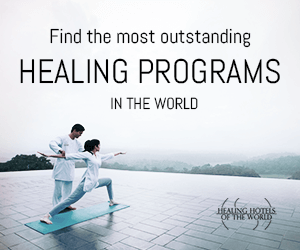 They help to enhance digestion and remove accumulated ama. 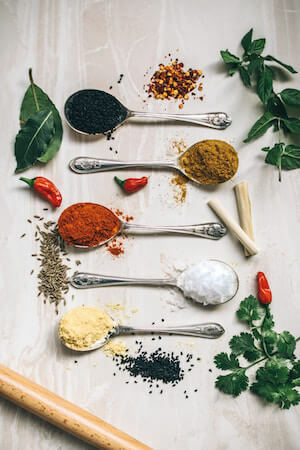 Turmeric, cumin, coriander, fennel, mint, asafetida (hing), black pepper, dried powdered ginger, cardamom, cinnamon, nutmeg and cayenne are among the most popular Ayurvedic spices. They enhance digestion and metabolism, cleanse ama from the body and prevent digestive disorders such as gas and bloating. Spices are like herbs. They work gently and gradually, with the benefits adding up over time and no dangerous side effects. They contain a lipid-soluble portion and a water-soluble portion. so ideally some should be sautéed in ghee or healthy oil such as olive oil and added to dishes. Other should be cooked in the liquid portions of dishes such as by being added to soups, stews or sauces. Ghee helps to transport the therapeutic value of spices to the different parts of the body. Ayurveda generally recommends including a ghee-spice mixture in at least one meal of the day. There are few wonder spices, which are mentioned below in detail including their therapeutic benefits, cooking usages and right combinations. 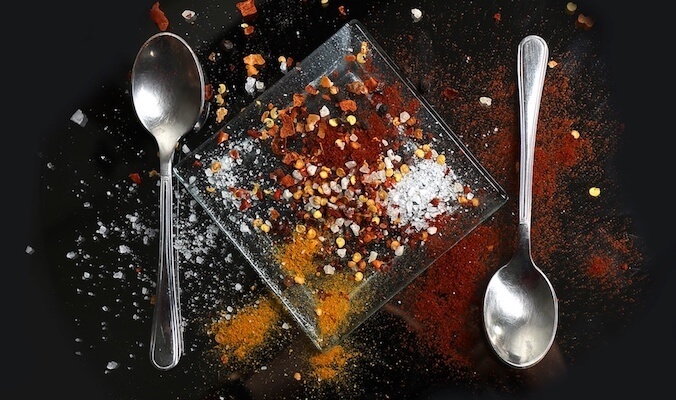 Introduction: Black pepper is a warming spice contributing a pungent taste. Therapeutic benefits: Black pepper is considered an important Ayurvedic healing spice. It has cleansing and antioxidant properties. It is further a bioavailability enhancer, as it helps to transport the benefits of other herbs to different parts of the body. Pepper stimulates the free flow of oxygen to the brain, helps to enhance digestion, circulation, stimulates the appetite, and helps to maintain the respiratory system and healthy joints. Cooking usages & combinations: Aromatic black pepper is widely used as a seasoning in the western world. In Ayurvedic cooking, black peppercorns as well as ground or cracked black pepper are very common. Black peppercorns and other whole herbs such as cinnamon chips, cloves and cracked cardamom pods are sautéed in ghee and used to flavor basmati rice. Ground black pepper is combined with coconut milk and other spices to make sauces for vegetables. Pepper combines well with almost every other spice or herb. Introduction: It is a warming spice, and contributes a sweet, pungent and bitter taste. Therapeutic benefits: Cinnamon is often used in Ayurveda herbal preparations to enhance the bio-availability of other herbs. It balances digestion and pacifies stomach disorders. Combined with other warming herbs and spices like ginger and black pepper, it can be boiled into an herbal tea to soothe discomfort associated with colds. Its oil is used to pacify headaches and keep joints healthy. Cooking usages & combinations: Cinnamon is a very aromatic herb and is widely used to spice desserts and sweet dishes in the west. In Indian cooking, it is used to spice rich rice and vegetable dishes. The sticks are used to decorate rice dishes. Cinnamon combines well with many other spices, including ginger, cloves, black pepper, paprika, saffron and nutmeg. 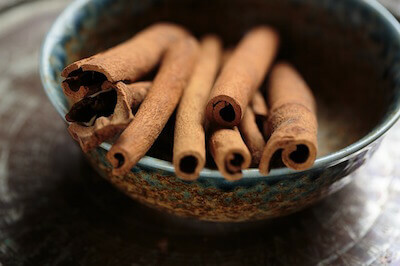 Sauté cinnamon in ghee and add to desserts such as rice pudding or pie mixtures. A pinch can flavor nut-fruit milkshakes. Introduction: Coriander seeds are used commonly in Indian and Mexican cooking. They can be used whole, but are normally used ground. It is a cooling spice and contributes sweet and astringent tastes. Therapeutic benefits: Ayurveda suggest that coriander is good for digestion, whets the appetite, supports a healthy response to allergens and also helps to purify the blood. It has a sharp aroma and smells and tastes best freshly ground in a spice mill. Cooking usages & combinations: Ground coriander can be added to lentils and vegetables as they are cooking. It can also be sautéed in ghee and added to cooked vegetables or lentils. Coriander can be combined with other Ayurveda herbs such as ground turmeric, cumin, paprika, cayenne and fennel. Introduction: Fennel is a cooling spice, contributing mainly a sweet taste with an undertone of a bitter taste. Its taste is reminiscent of licorice. It has a nutty flavor and a strong aroma when sautéed in ghee. Therapeutic benefits: They Ayurvedic spice fennel is extremely good for digestion. It acts as a general toner for the digestive system, and is particularly good for enhancing digestive fir. In India, eating a few toasted fennel seeds after a meal is a common practice. Both to aid digestion and to freshen up the breath. Cooking usages & combinations: Fennel seeds can be used whole or ground. Whole fennel seeds, sautéed in ghee, contribute aroma and flavor to dry vegetable dishes, and ground fennel works very well in sauces. Fennel combines well with other spices such as cumin, coriander, dried ginger and black pepper. Fennel seeds can be baked into cookies and muffins and a small quantity of ground fennel can be added to rice pudding for an exotic flavor. Introduction: Fenugreek is a warming spice, and contributes bitter, pungent and sweet tastes. Fenugreek seeds are used both whole and ground. Therapeutic benefits: In Ayurveda it is used to enhance digestion and prevent stomach disorders. It is also good for skin and hair. Cooking usages & combinations: As with many other Ayurvedic spices, it is best to sauté whole or ground fenugreek in ghee before adding it to dishes. Fenugreek combines well with other spices such as cumin, coriander, turmeric , fennel and dried ginger. Introduction: Dried ginger is a warming spice, contributing a sweet and pungent taste. Therapeutic benefits: Because of its healing properties, it is useful in aiding digestion, enhancing appetite, pacifying stomach disorders and maintaining joint health and respiratory system health. Taken with honey it decreases body fat and congestion. Cooking usages & combinations: Dried ginger imparts zest to vegetable and lentil dishes. Add with other spices during cooking or sauté in ghee and add to dishes. It has a very concentrated flavor and a little goes a long way. It is used extensively in baking and in desserts in combination with other spices such as cinnamon or nutmeg. Dried ginger combines well with a multitude of Ayurveda spices, such as turmeric, cayenne, cumin, coriander, fennel and cinnamon. Introduction: Saffron is a royal spice and has very balancing properties. Saffron is available as strands or powdered. Therapeutic benefits: It helps in assimilation of nutrients, in tissue formation, and in flushing toxins out of the body. Cooking usages & combinations: Saffron strands are normally soaked in a little milk to release the color before adding it to dishes. In cooking, saffron is used widely in desserts, vegetable dishes and to season rice. It is used for both its royal color and delicate aroma. Saffron combines well with almost every other spice. Introduction: It as a heating spice, contributing bitter, pungent and astringent tastes. 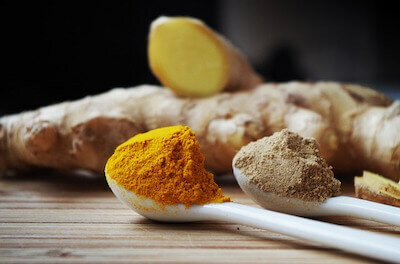 Therapeutic benefits: Tumeric contains the flavonoid curcumin, which is known to have anti-inflammatory properties. It is an excellent natural antibiotic and a strong anti-oxidant. This all-around wonder spice is said to help detoxify the liver, balance cholesterol levels, promote a healthy response to allergens, stimulate digestion, boost immunity and enhance the complexion. Cooking usages and combinations: Turmeric is a bright yellow-orange spice and and used in tiny quantities. It imparts a rich color and cooked white rice, potatoes or yellow lentils. Simply add it to the water in which rice or lentils are being cooked. It combines well with other spices such as cumin, coriander, cayenne pepper and cinnamon. Here’s a quick, easy way to enjoy turmeric. Sauté half a teaspoon of cumin seeds, half a teaspoon of turmeric and half a teaspoon of sweet Hungarian paprika in a tablespoon of ghee. Remove from heat as the spices start to release their aroma, and stir in a cup of diced steamed vegetables such as zucchini, cauliflower or broccoli. Add salt to taste and garnish with some chopped fresh cilantro. Cooked red kidney beans or cooked lentils also work well with this spice mixture. Very well written. Would love to read more on such topics. Although we use it daily without knowing it’s true science. But such wonderful explanation is refreshing. Keep up the good work Vikas ji.